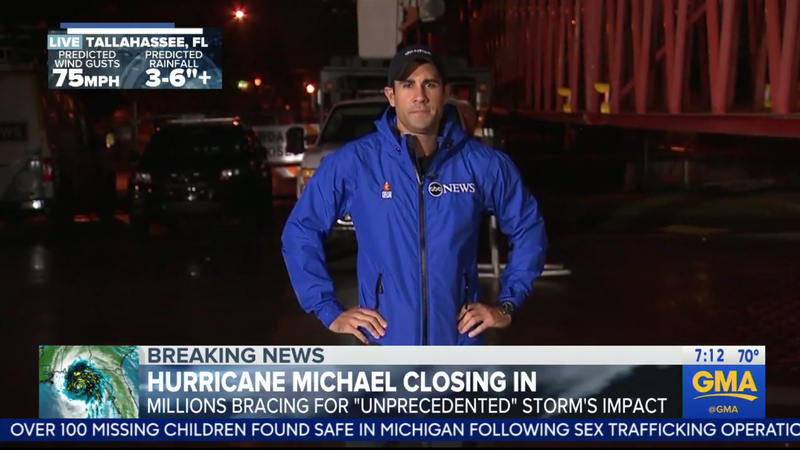 All three network morning shows lead with Hurricane Michael coverage Wednesday, Oct. 10, 2018. “Today” kicked off Wednesday’s show with an extended video wall and panel sequence. 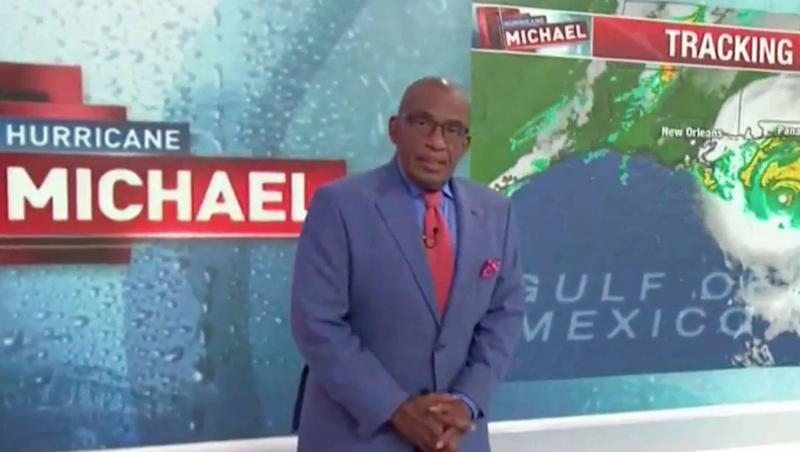 Three vertical panels showed two live shots and the network’s Hurricane Michael logo before the handheld camera swung around to allow Al Roker to showcase three weather maps. The production area video wall was also used for an additional map and data points, with another vertical panel with the hurricane branding in the background. 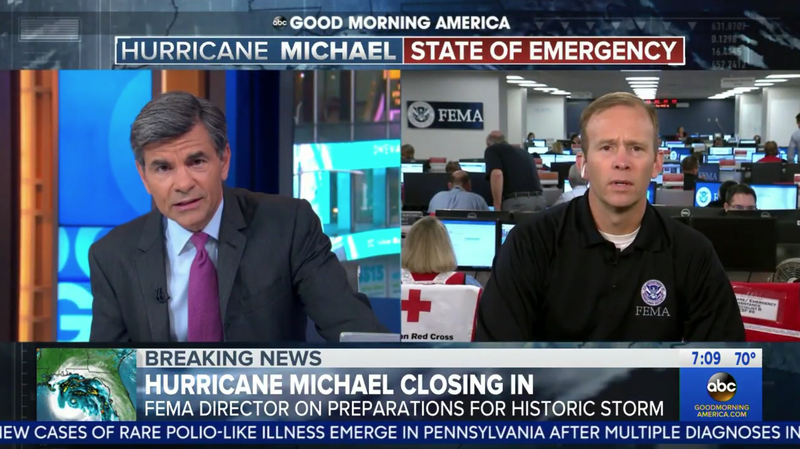 ‘Good Morning America‘ is using its ‘State of Emergency’ branding again. 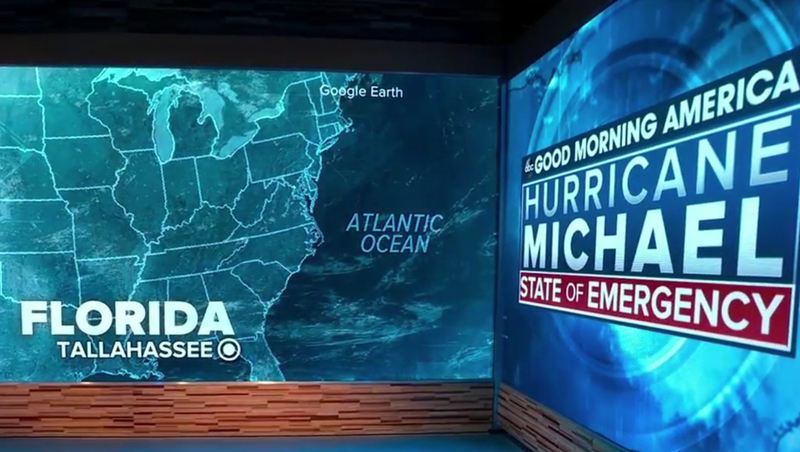 ‘GMA’ also used its corner video wall to showcase the ‘Hurricane Michael: State of Emergency’ logo design and a stylized locator map. The logo was also used above the broadcast’s two boxes. 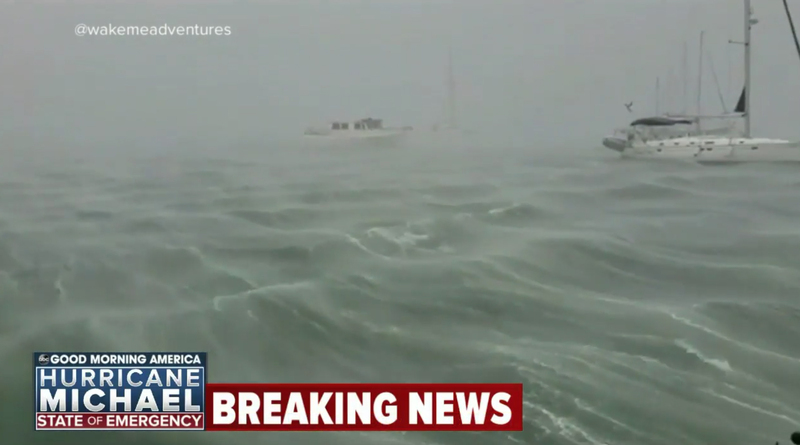 The broadcast also used its deep blue lower thirds with radar image in the lower left. During live shots, ‘GMA’ added location-specific weather data in the upper left of the screen.